It uses the innovative Samsung Phoenix Controller: its work is based on a five core ARM processor, and one of the cores deals exclusively with servicing operations with the host. High power consumption in Burst Mode (up to 10 W). 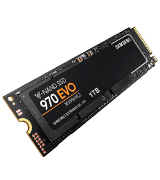 The Samsung 970 EVO is a breakthrough in the field of SSD-drives in terms of speed and reliability: Samsung Intelligent TurboWrite technology has significantly increased the speed of sequential reading and writing. 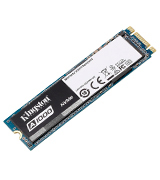 Thanks to the supplied WD SSD Dashboard software and Acronis True Image WD Edition software, you will have the opportunity to monitor the details of the component's operation in detail, and also be able to easily clone and restore local disks. Doesn't come with a mounting screw. If you are keen on high-end gaming and 4K and/or 3D graphic editing, then we recommend that you look at this SSD-drive: the speed of reading and writing here is the highest at a relatively low price, and therefore quite suitable to the above mentioned tasks. This drive offers long-term data storage thanks to a proven 1.75 million working hours and reliable data write resources. Plus it's quite capacious, enough to store huge batches of files. The TBW warranty parameter of 400 TB is not exactly reassuring. Though the read/write speed on this model isn't that impressive, the reliability and longevity are both outstanding and you can be sure that any information you store here will be safe for centuries. If information backups are your priority, you can't go wrong with this drive. Integrated Power Loss Immunity eliminates the risk of data loss in the event of a power outage - an important point that will prevent you from losing important information in case of an emergency failure in the computer. Comparatively low read / write speed. 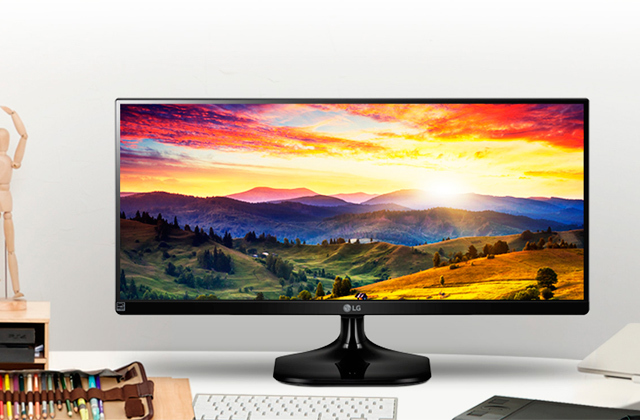 This model is the best in the category of budget drives: with it, you can upgrade the storage capacity and performance of a PC or laptop by spending a minimum of funds. 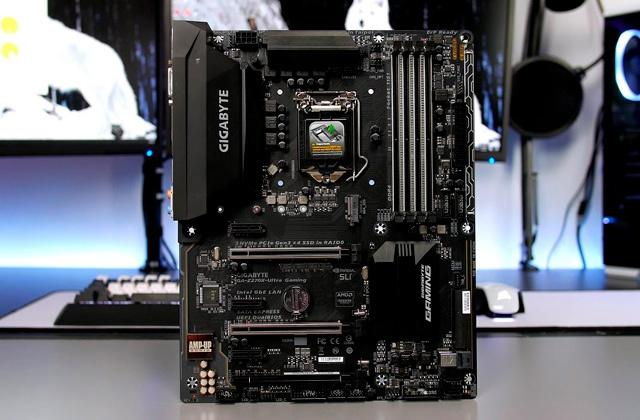 This drive will greatly enhance your system's performance. The shock resistance is 2.17G Peak (in working condition) and 20G Peak (Non-Operating) - this is especially important when installing the drive in laptops and ultrabooks, as it prevents the failure of the component due to vibration and shaking. No cloning software comes with the drive. Kingston solid state drives have proven themselves with hours of daily use: they can easily cope with extreme loads, while not having problems with overheating, even without additional cooling. Technology is an ever-changing game and if you’re planning to go for an upgrade you shouldn’t settle for anything less than the best. That’s exactly why we don’t hesitate to recommend the Samsung 970 Evo V-NAND, a top of the line m.2 PCIE solid state drive. Right away, let’s just take a look at the read/write speed on this device. If you don’t find the 3400/2500 level impressive, you’re either from the future or know something we don’t know. That kind of speed is nearly triple what you’d get on SSDs even a year or two ago, guaranteeing fast transfers with no chance of read/write errors. Well, actually, the latter is guaranteed by the innovative protocols such as the 3C NAND Flash. You can set up several transfers to go at once thanks to the NVME interface, which prevents errors. 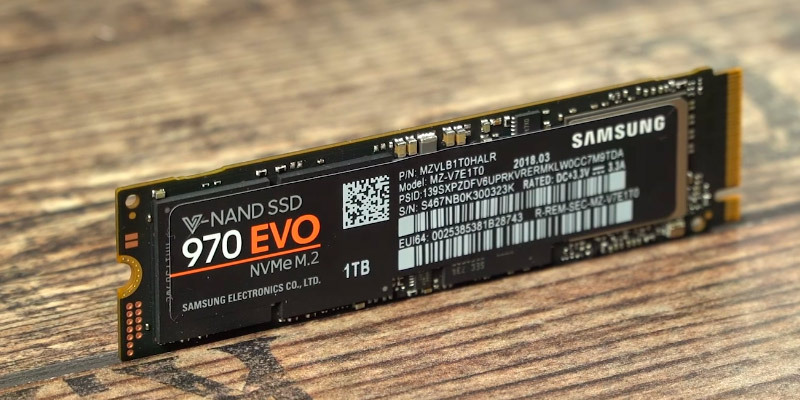 And don’t worry about getting carried away and running out of space, the Samsung 970 Evo has 1 TB of storage with an upgraded 2TB model available as well. This quality does have a cost though as this SSD is pretty energy-heavy, consuming up to 10 W in Burst Mode and not much less in regular operation. If the high energy bill is something you actually worry about, you might want to get a more economical option. 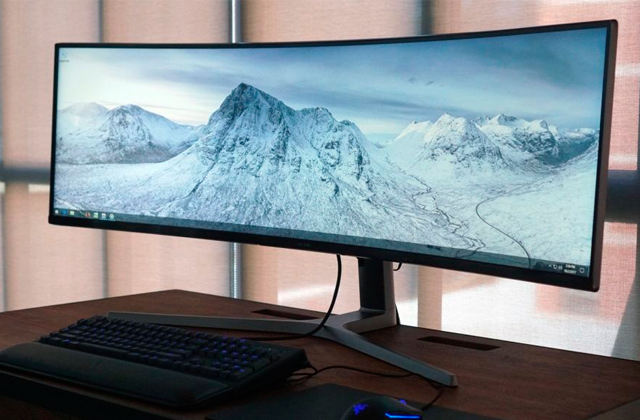 But if it’s quality and speed you want, you simply can’t go wrong with the Samsung 970 Evo. 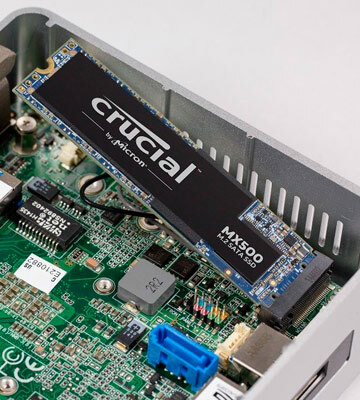 Not only is it ultra-fast and reliable, it also uses the five-core processor to ensure that your operations are never interrupted or end in an error. 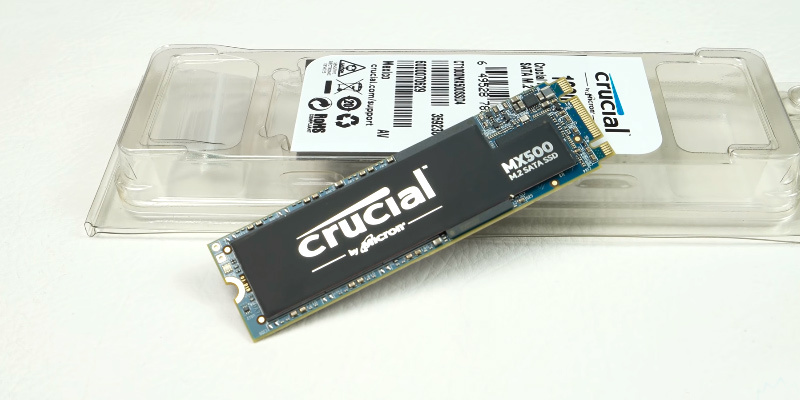 This 1TB M.2 SSD may not look much different from the rest but it’s a true powerhouse among the competition. Ever get scared that your rig, even though it was built for gaming, may be overheating or getting worn out? 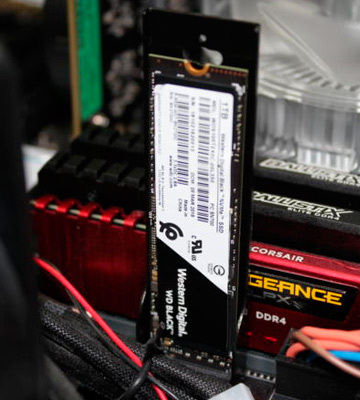 That used to be a common problem with many M.2 SSD drives but, nowadays, there are ways of fixing that. For example, the WD Black High-Performance model gives you access to the proverbial control panel, where you can make sure that things are running smoothly. You see, this drive comes with a special dashboard software that lets you see the details of performance, including current speed and state. Don’t forget to review the info about your WD Black as well as that’s where you can see whether the system is up to date and how much space is actually left (since your OS might not be giving the precise number). However, diagnostics are not the only thing that makes the WD Black an SSD for experienced users. 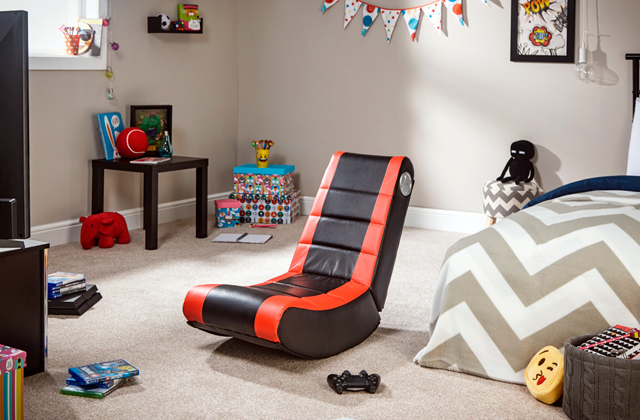 Sadly, this model doesn’t come with a mounting screw so you’ll have to pick one out yourself. And should you choose incorrectly, you’ll be in for a few wasted minutes and, if you’re not careful, a damaged PC part. There is one particular set of users that will love this model for sure, though. 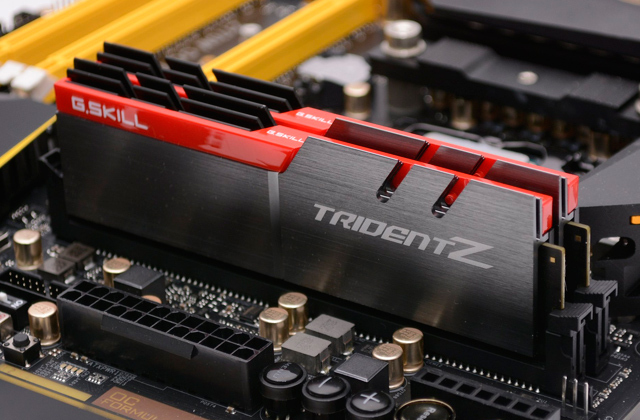 Since this is pretty much the fastest M.2 SSD on the market, it’s perfect for gaming in 4K on ultra-high settings. Also, graphic editing and even 3D modelling should be a breeze when you use this drive. Plus, the drive is quite affordable for the specs you get, making it the best bargain for now. 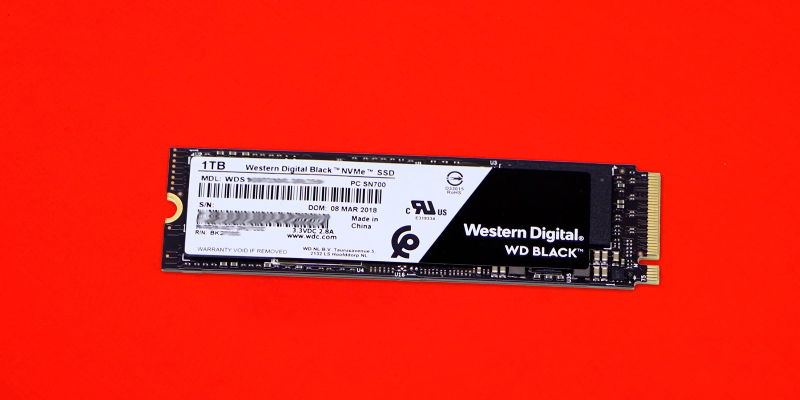 If you won’t settle for anything less than the fastest drive at the best price, don’t pass up the opportunity to get the WD Black High-Performance. Sure, we would prefer for it to come with a mounting screw to make the installation process easier but that’s not a dealbreaker for such an advanced device. Consider how much important and valuable data you have stored on your computer. 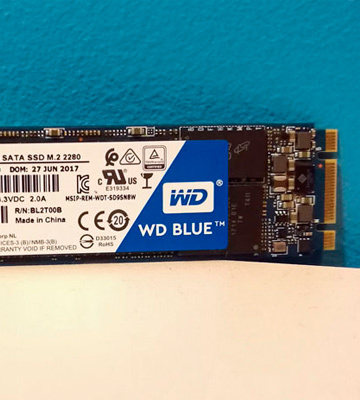 Odds are your whole life is on that machine and if you want to make sure nothing is lost, it only makes sense to invest in a reliable M.2 PCIE SSD like the WD Blue 3D. This model has been tested to show an average operational lifetime of 1.75 million hours, more than enough to keep your information safe for 200 years. 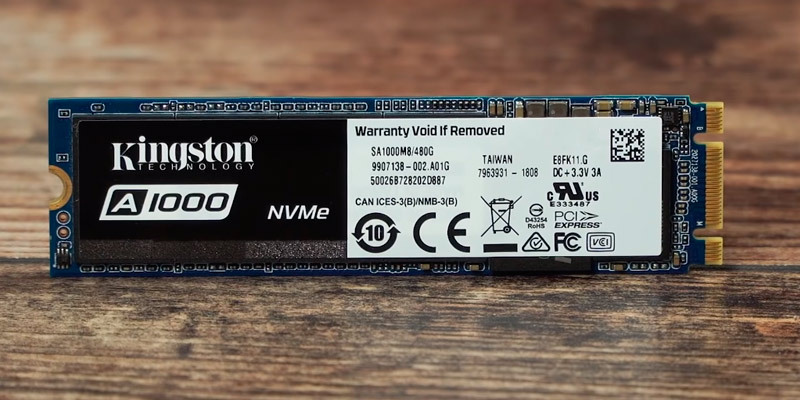 Sure, the warranty is set at a puzzlingly low 400 TBW but that shouldn’t deter you from relying on this SSD. It’s also tough to deny that the read/write speed of 560/530 is not the highest but at least the transfer is guaranteed to be error-free and works equally well for large files as well batches of small ones. And you can send as much information to the drive as you’d like since its 1TB capacity is enough for a whole library of knowledge. 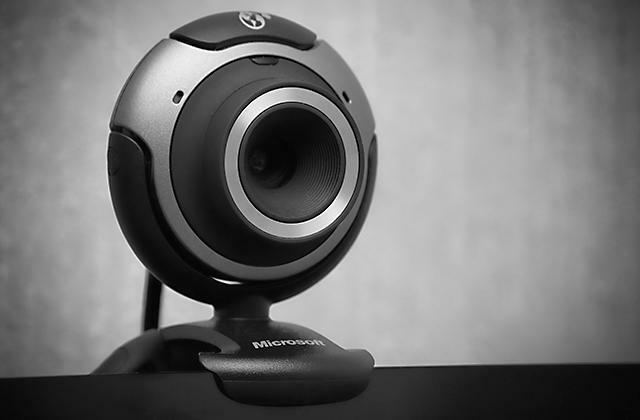 Despite being a more affordable model, the WD Blue 3D is still a WB product and thus comes with a special piece of software to monitor its operational status and make sure things are going well. It’s not too tough to navigate and we’d recommend using it regularly to make sure your data is safe and sound. If you’re seeking high speeds, the WD Blue 3D might disappoint you. But if it’s reliable data storage for years upon years you want, your search is over. This drive is reliable, affordable, and easy to keep in good condition, which means it’s worth the money. Have you ever lost important data due to a power outage? You know, working away at an Excel spreadsheet with several dozen tabs just to see it all erased because the data didn’t back up properly? That’s never going to happen with the Crucial MX500 Internal. Thanks to the integrated Power Loss Immunity System, this drive will keep working even in case of a power outage, preserving the data on it and preventing file corruption, which is a common cause of data loss. Sure, it’s not going to work for hours but even a few precious seconds are enough for the drive to back up the essentials. We do have to concede that some of the other parameters here aren’t as impressive as the former feature. Yes, the 560/510 read/write speed is alright but it’s been surpassed time and again. However, the 1TB storage capacity is still pretty nice, especially at such a low price point. Besides, this is a Crucial drive, coming from a widely-known and respected company. So you get not only data protection but also data management software, which lets you check for any broken sectors on the drive and make sure that everything is running smoothly, even after an unfortunate outage. In the end, this drive is a good budget-friendly choice as long as speed isn’t your number one priority. It’s particularly useful for handling sensitive data and the appealingly affordable price makes it a must-buy in our eyes. As technology is advancing in leaps and bounds, not everybody has the time and the money to keep up with it. 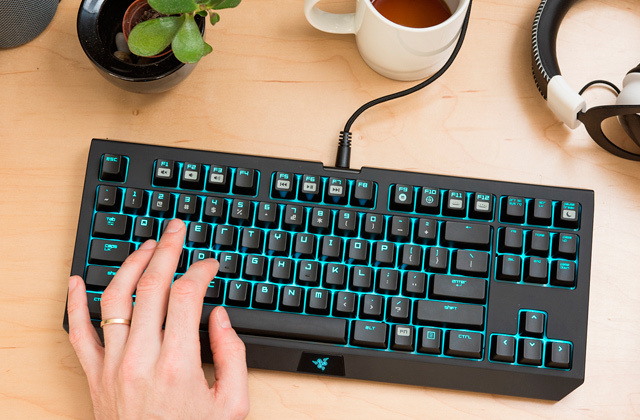 But if you want your older PC to take a single yet effective step into the future, try outfitting it with the Kingston A1000. This M.2 SATA SSD is backwards compatible with Revs. 2 and 3, so you can install it into any laptop or desktop computer from the last generation without worrying about it working. 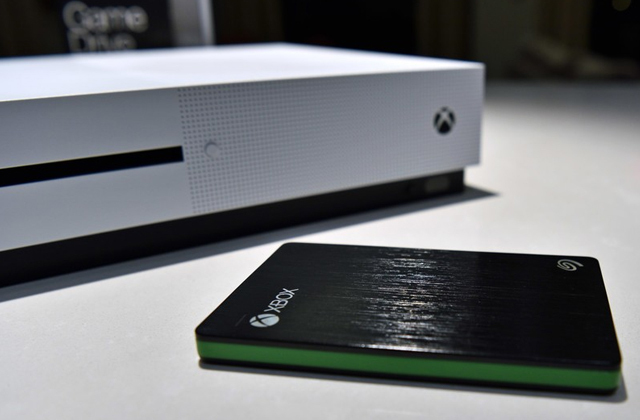 Of course, that kind of compatibility requires some sacrifices and we have to admit that the 480Gb storage capacity isn’t all that impressive. 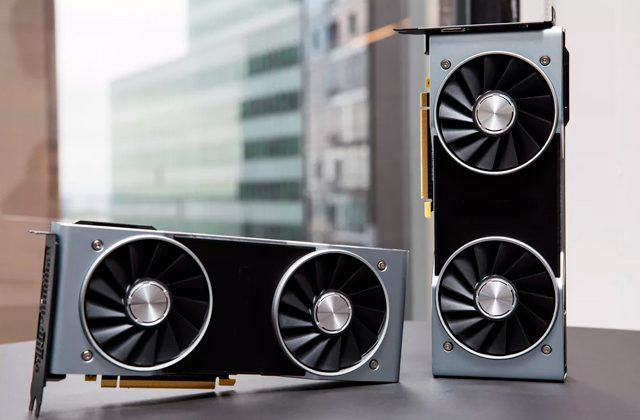 You could go for the 960Gb model, though, if you feel like that level isn’t enough. We don’t have any qualms about the speed, though, as the 1500/900 read/write is a big step up from mechanical drives and certainly more than we’d expect to get from such an affordable model. It’s safe to say that this drive is particularly viable for laptops as it uses less power than the average SSD. Plus, it has shock resistance so you know it’s not going to fail just because you carried the laptop around a bit too carelessly. And that’s particularly important since the drive doesn’t come with any software for backing up info, so you’ll either have to trust its quality or get a third-party program. 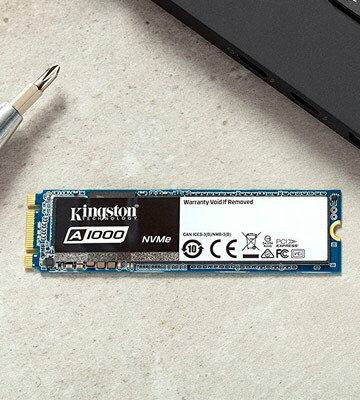 All in all, the Kingston A1000 is a great find if you’re working on a budget and need an SSD that will still fit an older computer. Its high transfer speed and reliable shock resistance help the drive take any old machine straight to the future. What Is a M.2 Solid-State Drive? 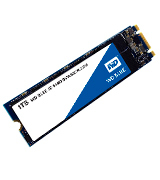 Solid State Drives (SSD for short) are data storage devices that are used in computers to store the computer's data. While most older (and some newer) computers tend to use standard mechanical hard drives for this purpose, many newer computers are starting to use SSDs due to a number of reasons, the most important of which being that they tend to perform much faster than the older mechanical hard drives. They also include a number of other benefits, such as requiring less power and being less prone to mechanical failure. 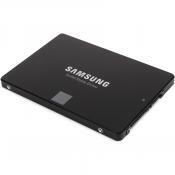 Overall, SSDs are quite superior to standard hard drives in most important areas. 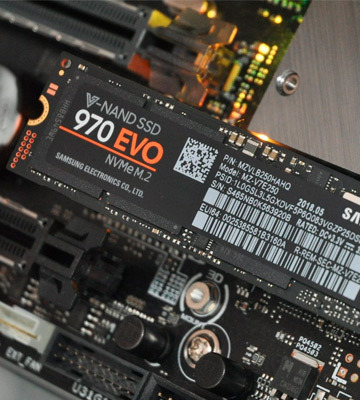 Many older SSDs were made specifically to work with the mSATA standard, but the drives reviewed here are made to work with the newer m.2 standard (also called Next Generation Form Factor, or NGFF). 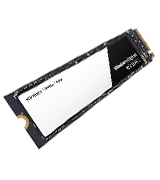 The m.2 standard refers to the interface used by the SSD, which includes a number of benefits over the older mSATA standard. 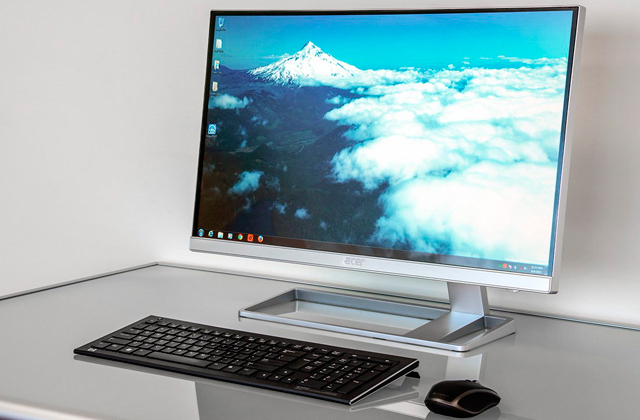 Devices that use the m.2 interface use a smaller form factor interface, which makes them easier to install in laptops and ultrabooks, and it also allows for faster parallel operations, which greatly improves the performance of all devices connected to the m.2 interface. If you are looking for an external SSD to help increase your computer's total storage capacity, take a look at our reviews of the best external solid state drives. Most people who are quite familiar with computer technology will probably already know what to look for when it comes to buying an m.2 solid state drive. 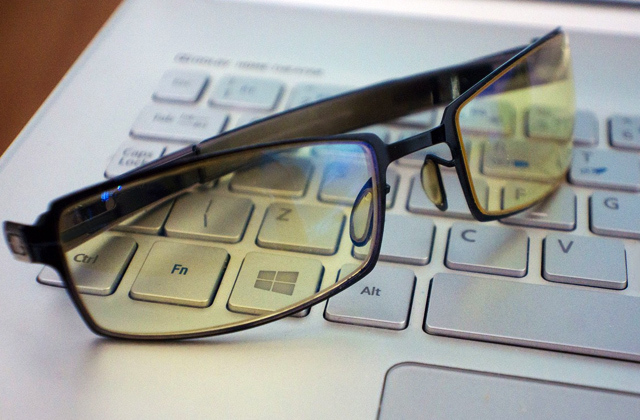 However, most people aren't computer geeks, and many really don't know what to look for when it comes to these drives. The most important thing to check before buying an m.2 solid state drive is to make sure that your computer actually supports this new interface standard. If your computer is more than a couple of years old, it most likely doesn't and might be better served by an mSATA or PCIE solid state drive. Computers with the newer Intel and AMD chipsets, however, will support it, and many laptops and ultrabooks already include support for the m.2 standard. It is best to check with your computer manufacturer to make sure that your computer already supports this standard. For those who do have a computer that supports the m.2 standard, there are a few other characteristics to keep in mind when purchasing an m.2 solid state drive. 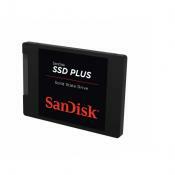 One of the areas that SSDs lag behind mechanical hard drives is in the total storage capacity. Most SSDs are going to have much less storage capacity than an equally priced mechanical hard drive. 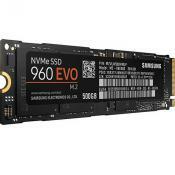 However, the gap is starting to close on this as SSDs become more and more price competitive. 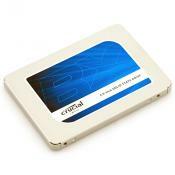 Regardless, you will want to make sure that the SSD you buy is going to have enough storage capacity for your needs. Probably the biggest way in which a solid state drive is superior to a mechanical hard drive is in its read/write speeds, which dictate how fast the hard drive can read and transfer information to the computer's memory. 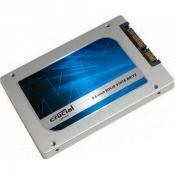 m.2 solid state drives boast far superior read/write speeds to most other drives on the whole, although it is best to make sure that your specific m.2 SSD will have read/write speeds that match or exceed your needs. This is especially important for people who use their computers for working with large amounts of data, such as for 3D modelling, 4K video editing, and many other data-intensive tasks. Many m.2 solid state drives will come with some extras, including but not limited to data management and drive cloning software. Data management software is especially important, as this software works to ensure that your computer's operating system is making the best use of its solid state drive. Drive cloning software is also quite important, especially for home users who are buying the solid state drive to replace an older SSD or mechanical hard drive. This software allows the user to easily transfer all of the data from the old hard drive to their new SSD without needing to reinstall all of their software. If this is something that you are planning to do, and you do not already have access to cloning software, then you want to make sure that your new m.2 solid state drive includes this utility. 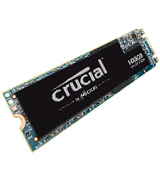 Checking all of the above-mentioned features and characteristics of the m.2 solid state drive before you buy it will help ensure that you have the best experience possible with your new drive. 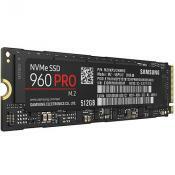 If you are looking for a new m.2 solid state drive, chances are that you have a computer with either a mechanical hard drive or an older SSD, and you wish to replace that older drive with your new SSD. While this may seem to be a simple procedure to experienced computer users and technicians, many people who are not familiar with the internals of their computer or how they operate may find this to be a daunting task. 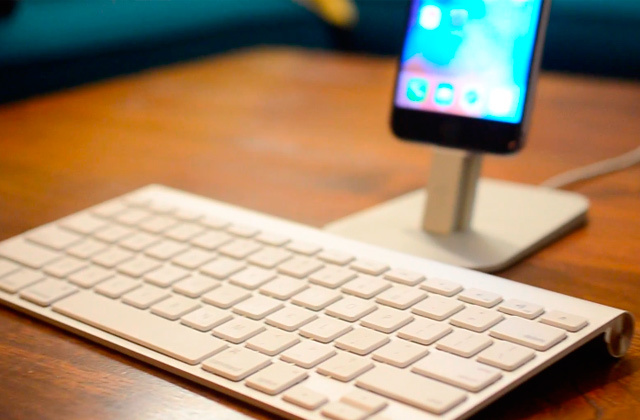 Fear not, though - this is actually very simple to do, and requires only a minimum of steps, regardless of which type of computer or operating system that you use. If you find yourself lost on where to begin or how to go about replacing your older drive with your new SSD, then read on to find out the steps you need to take. If you are replacing an older drive with your new SSD, and you need to transfer all of your old data to the new drive, then you will have two options on how to go about doing this. The easier option is to transfer just the data while reinstalling the operating system and applications from scratch. Many experienced computer users tend to prefer this method, as it ensures a fresh install of everything on the new drive. However, it is by far the more time-consuming option of the two, and for most people it really isn't necessary. If you aren't experienced with how to do this, then you may either want to find a good online tutorial for this, or find an experienced computer tech who can help you with this process. If you are doing this yourself, then all you need to do is transfer all data from your home directory in Windows (C:\Users\[Home Directory Name]) or Mac OS X (/Users/[Home Directory Name]) from your old drive to the new SSD after you have installed Windows on it. If you prefer to just transfer all data, including your operating system and applications, to the new drive, then you will most likely find this process to be much easier and quicker to do than the first option. To do this, you will need to use some type of "drive cloning" software, which is a program that allows you to move the entire contents of one drive to another drive in one easy step. Many of the drives featured here actually come with drive cloning utilities. However, if you purchase an SSD that does not include this software, then you will need to acquire this type of software from elsewhere. Thankfully, there are several free to use programs available online that you can use for this. If you are using a version of Windows on your computer (Windows 7, 8, or 10), then you may want to try the Macrium Reflect software, which is highly rated and easy to use. For Mac OS X users who are using the latest version of Mac OS X, then you actually don't need to download any additional software, as you can use Disk Utility to copy the data to your new drive. The process of doing so may involve a few more steps than with dedicated cloning software, but it is still very easy to do if you follow this guide. 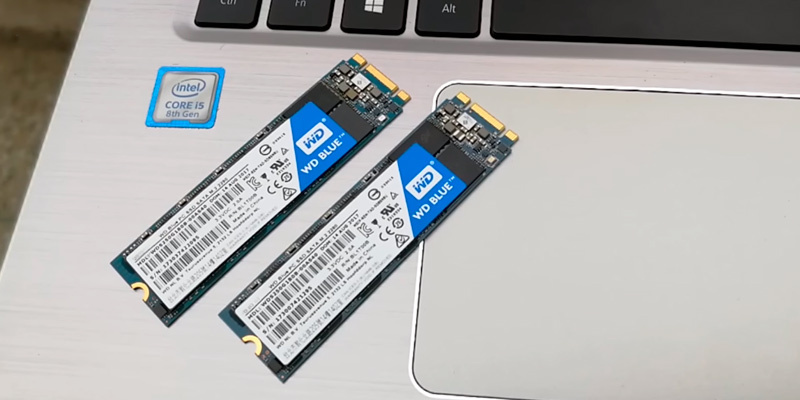 As you can see, the process of transferring your data to your new m.2 SSD is not complicated at all, and is easy enough for most people to do without any additional help. However, if you are unsure of what you are doing, then you may want to ask a friend who is experienced with this process for help.